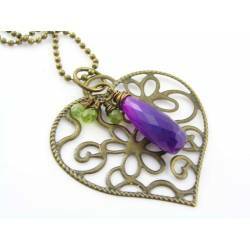 This is a large and very light weight filigree type heart pendant. 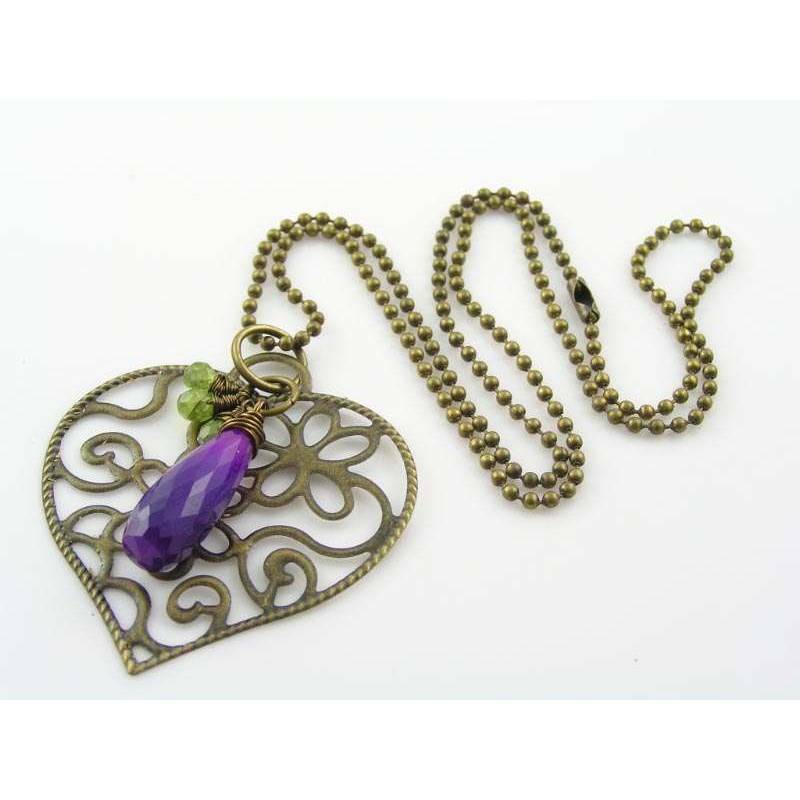 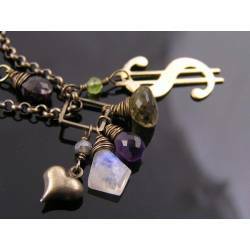 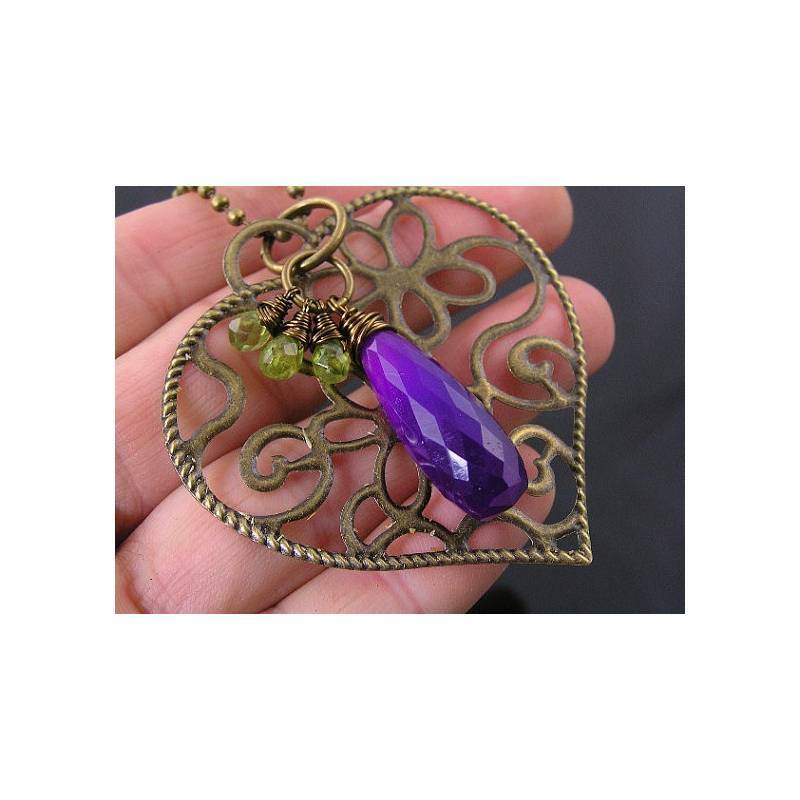 I have teamed up the large filigree heart pendant with a very large, bright purple chalcedony drop and three small peridot briolettes. 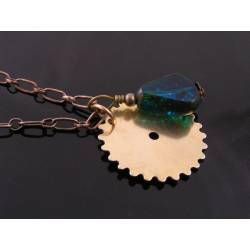 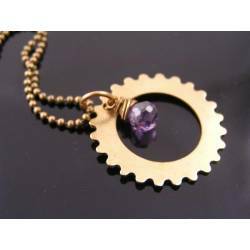 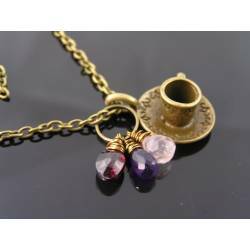 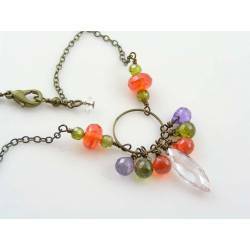 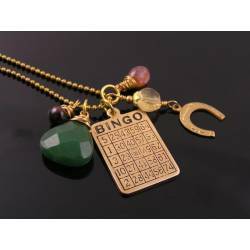 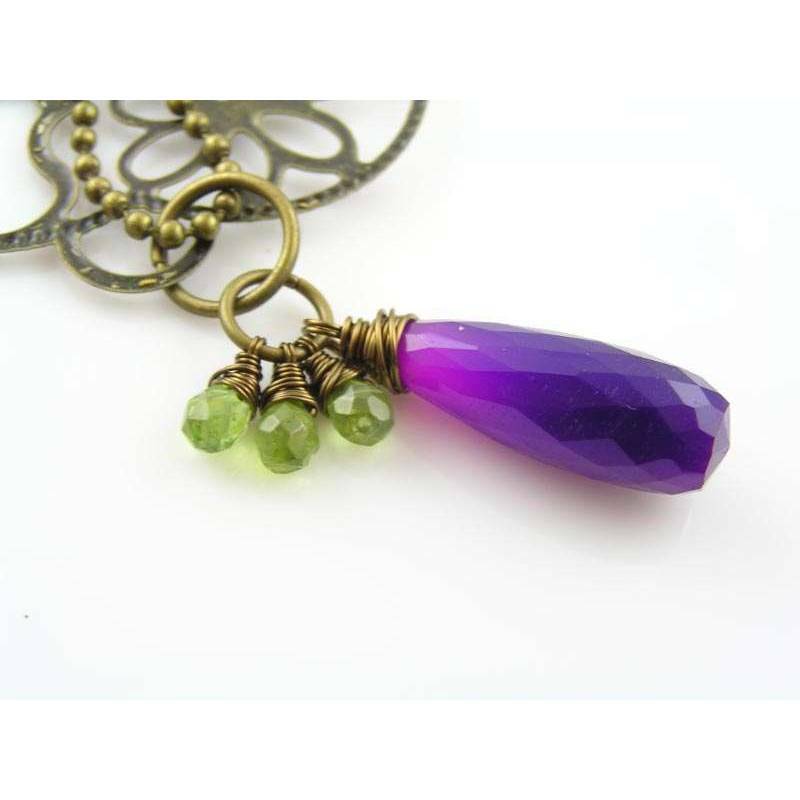 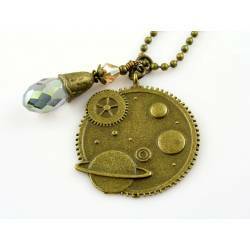 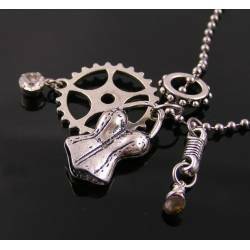 The pendant is attached to a matinee length ball chain. 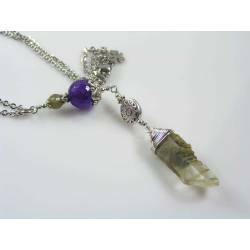 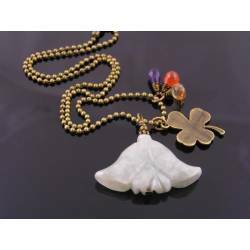 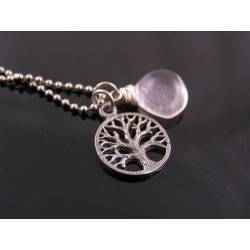 - The large purple chalcedony drop measures a whopping 3cm in length. 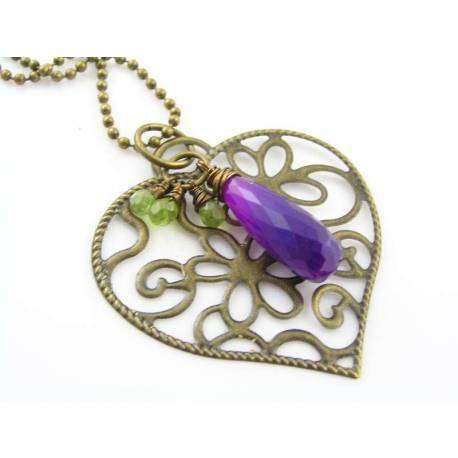 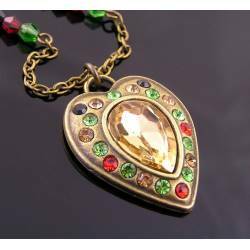 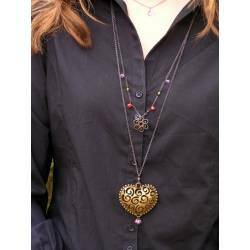 - The large heart pendant measures 5cm in both directions. 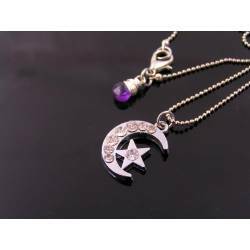 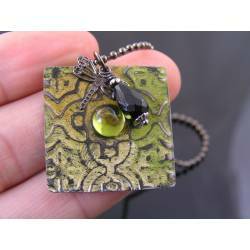 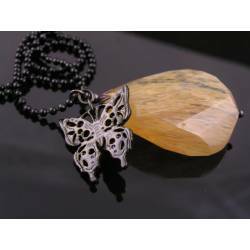 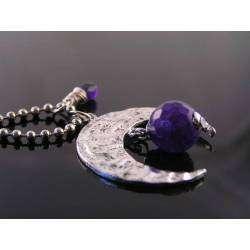 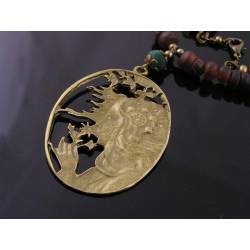 It's a light weight pendant which is hollow from the back, making it very comfortable to wear. 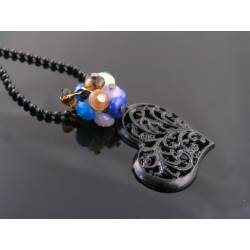 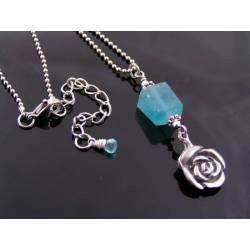 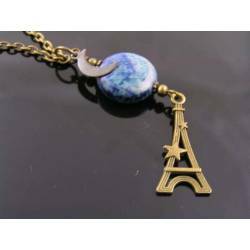 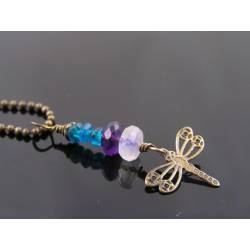 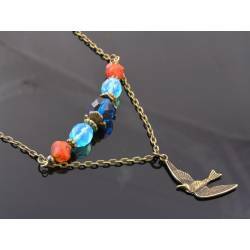 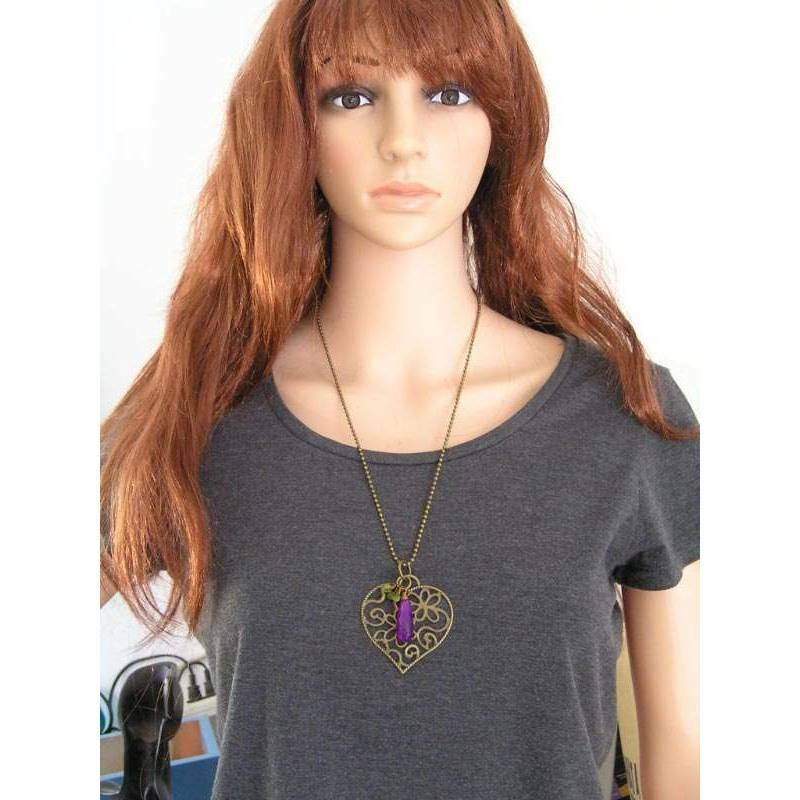 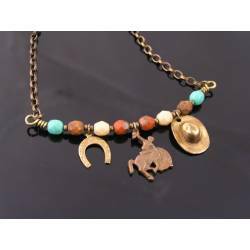 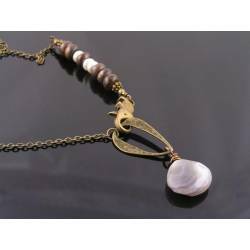 - The necklace is 60cm long.